Based in Belgrade, Montana, David is a freelance hunting and outdoor photographer. 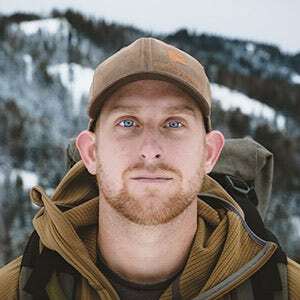 Growing up in the small town of Dayton, Washington he discovered his passion for the outdoors early on and his love of photography soon followed. He can be found crisscrossing the Western US from September though November photographing wildlife and friends as they indulge in their outdoor pursuits. My dad, just enjoy being out in nature and pursuing wild game. Mostly by hiking a lot to stay in shape physically. Most of these hikes are done while carrying a camera around the mountains hoping to find an animal to photograph. My first deer, 16 years ago. With my dad on my grandpa's property and was able to harvest a mule deer, then watch my dad harvest a mule deer as well, same day. Tie between an elk hunt and mule deer hunt. My sister killing her first deer and becoming overwhelmed with emotion. Backcountry/Wilderness elk hunt on horseback. A foam mattress in the bed with a canopy, always on the move.